Digital Transformation is the redefinition of the products and services a company offers to fully leverage the opportunities generated by the constantly evolving digital technologies, blurring the digital and physical worlds and changing how it connects with its customers and creates value for them. The most successful startups today were born with a Digital DNA. Spotify, Airbnb, and Netflix are some examples. Other big companies such as GE, JP Morgan, and Nike are years ahead in their own transformation. If your organization is not there yet, it is likely to be disrupted by businesses you didn’t even know existed or imagined that could become competitors. And that may come sooner than you think. Internet-connected sensors embedded in everyday objects, smaller and faster mobile devices, cloud computing with an ever-growing processing and storage capacity, smarter machine learning, customer networks that lead to their loyalty, and big data analytics to predict user behavior. Those are some example of digital technologies being used to deliver what the users need, when they need it. Digital Transformation may lead to a profound transformation of the company’s business as a whole, which includes the redefinition of some of its core competencies and many of its internal business processes. To make this happen effectively, companies must consider coordinated consulting and training efforts, ranging from the product team members to the c-suite, allied to an adequate hiring process. Digital Transformation is made possible through the use of True Agile Methods, Lean Startup principles, and DevOps practices. Agile methods allow short feedback cycles to be able to adapt and deliver new products quickly. Lean Startup principles lead to validation of new ideas through the use of experimentation and metrics. DevOps practices allow building, testing, fixing and releasing software rapidly, frequently and more reliably. Mastering those methods allows continuous learning through rapid iteration and experimentation. These short cycles lead to the ability to get closer to the customer, in a way the company can validate new ideas and quickly understand and respond to his needs. 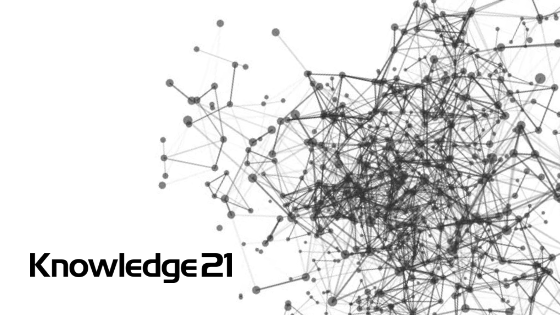 Understand how Knowledge21 can assist your company. Our broad experience shows that occasional training and coaching sessions are not sufficient to consolidate an Agile culture. With the Knowledge21 Digital Transformation, we guarantee effective continuity in the change process and its adoption at all levels, from the individual to the whole organization. measure the progress of the transformation. « P.O. Surprised in the Review? Now what?